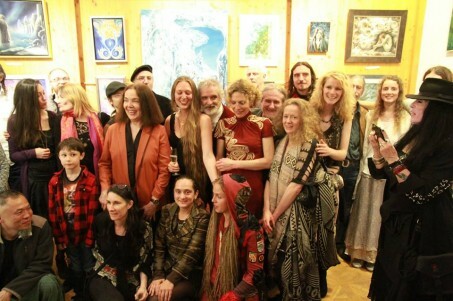 I was honoured to show the painting ” Shamanize ” as part of a wonderful tribute exhibit at Gallerie 10 in Vienna, May 13th 2016 to honour the life & works of Ernst Fuchs, one of the core founders & pioneers of the Fantastic Realist movement. A peer of Salvador Dali, He influenced so many in his time, & produced incredible masterworks, many of which are installed at the Fuchs Museum in Vienna. I worked for him assisting him painting in 2012.